New ILO Member Serving Whitby Coming Soon! A wrongful death is defined as a death from anything other than natural causes. The legal aspects of wrongful death are governed by the Canadian Family Law Act. Part 5 of The Family Law Act states that if a person is killed by the fault, recklessness or negligence of another party, the spouse, children, grandchildren, parents, grandparents, and brothers and sisters of the deceased may be able to recover losses stemming from the death of their loved one. If you have lost a loved one due to the negligence of another, contact a Whitby ILO personal injury and wrongful death attorney to begin your claim for fair compensation. While no two cases of wrongful death are exactly the same, a person may generally claim to be reimbursed for reasonable medical expenses and final expenses that the deceased's estate incurred as a result of the event. Final expenses include funeral, religious and burial expenses. In addition, surviving members of the family can seek to be reimbursed for loss of the compassion, guidance and care the deceased would have provided had he/she not been killed. Family members can seek to be compensated for the loss of income that the deceased would have provided had they continued to live through their years of employment and other means. In addition to the loss of income of the deceased, the surviving spouse may be so emotionally and physically distraught that they are unable to work for a period of months or years. Travel expenses include any and all gas and mileage that you spent going to and from the hospital, funeral parlor etc., in the caretaking and arranging of the affairs of the deceased. If the deceased was a homemaker and raising children, the cost of hiring someone to replace that person to do household work and child care can also be recovered. Shopping, laundry, help with homework, transporting the children to and from activities all need to continue when a homemaker dies, and surviving family members have a right to seek to be compensated for the expense of hiring someone complete these necessary tasks. A parent provides their children with far more than just food to eat and a roof over their heads. Children of parents who have been killed wrongfully can seek a lump sum based on the intangible benefit (a parent) that has been taken from them. In addition, a child may require years of psychological therapy in order to make sense of what has happened and to attempt to put their life back in order. They are entitled to seek compensation to pay for this as well. The number of ways one can die or be killed is practically limitless, but in modern society, some activities that we do are more prone to cause accidents and potentially, death. These activities are further modified by age group as one age group may be more apt to participate in the activity than another. 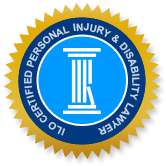 The most common types of activity that cause wrongful deaths are motor vehicle accidents, medical malpractice, defective products and workplace accidents. Motor vehicle accidents are the most commonly occurring type of accident resulting in wrongful death. In this day and age, most of us in Ontario are exposed to the risk of being killed in a motor vehicle accident every day. Motor vehicle accidents include automobile accidents, delivery truck accidents, big rig and 18-wheeler accidents, SUV and motorcycle accidents. In statistics kept by Transport Canada's National Collision Database, in 2012 alone, the number of motor vehicle fatalities was 2,077. There are many ways in which medical malpractice can occur. Also, medical malpractice is not limited to errors by doctors. Hospital administrators, hospital staff, nurses, pharmacists and surgeons make careless mistakes constituting medical malpractice far more frequently than we would like to believe in Canada. Examples of medical negligence includes being given the wrong medication by a nurse, leaving surgical tools inside a patient during surgery, mixing up prescriptions at a pharmacy, and/or administering an inappropriate treatment by a doctor. Many mistakes, however slight, may result in the unintended and wrongful death of a person. Most of us are not unfamiliar with acts of suing businesses or companies who sell flawed products that result in injuries to the consumer, such as suing the ladder manufacturer if someone falls and was hurt due to a defective ladder. Products are required to have warning labels that explain the potential hazards of using said product, so that you can take the precautions that you deem necessary to be safe. There are times however that companies are unaware of defects in their product that can cause the person using the product to die. Many jobs are hazardous to one's health, particularly those that involve construction and working with power tools and heavy equipment. Construction workers and others who work under similarly dangerous conditions, sometimes fall or are hit by debris, machinery or construction materials, and are fatally injured as a result. When you lose a family member due to the recklessness or negligence of another party, you experience a traumatic and life altering event. Perhaps you were also injured in the same accident that claimed the life of your family member. Nothing can replace the loved ones that you have lost, but we can help with the financial burden and legal challenges that have resulted from this catastrophic event. We are a group of wrongful death legal firms (Injury Lawyers of Ontario) with years of experience in making successful claims against individuals, companies, and their insurers, that were negligent and responsible for the accident. Please call our Whitby law office for a free consultation. We want to help you get the just financial compensation that you deserve.